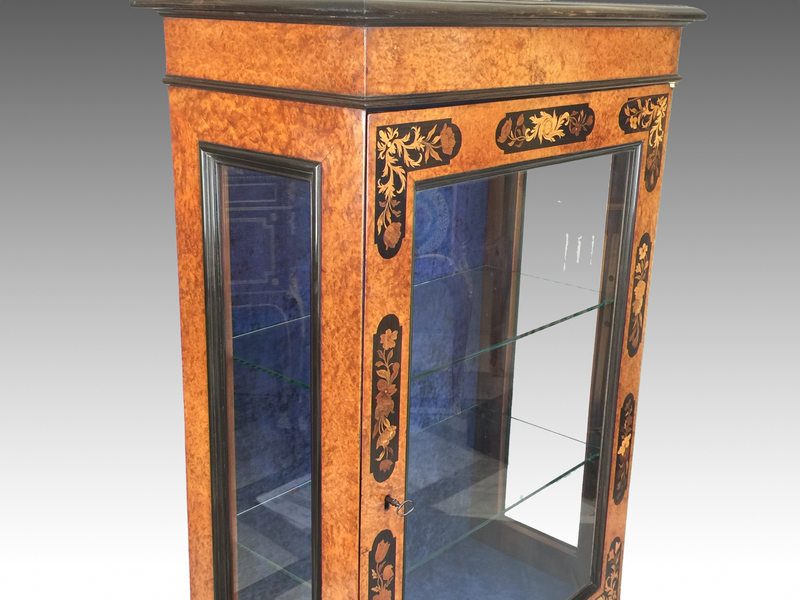 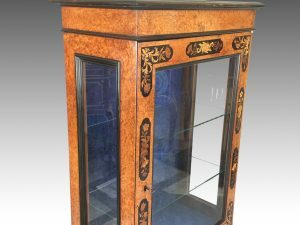 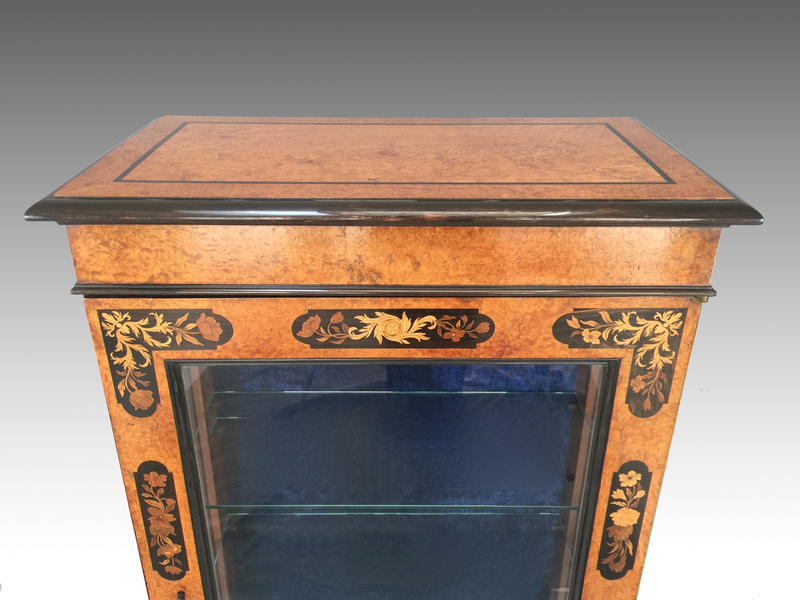 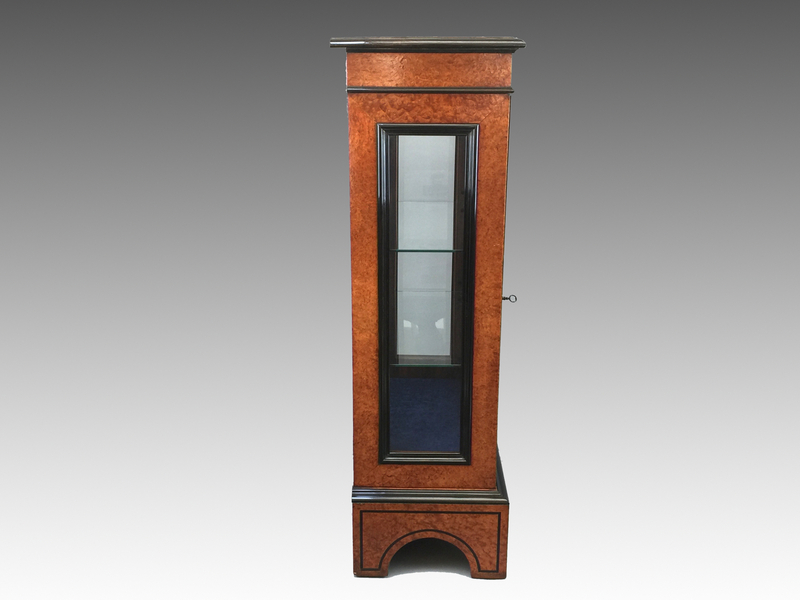 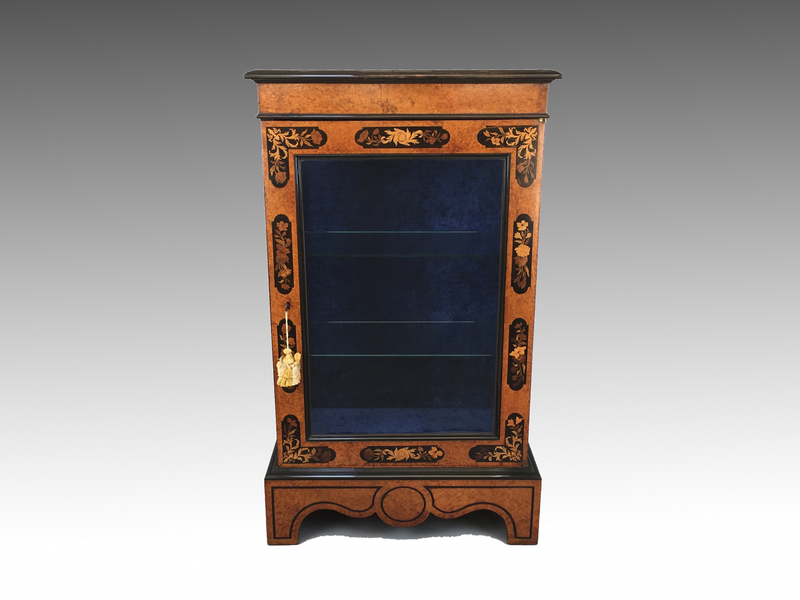 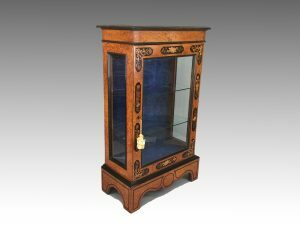 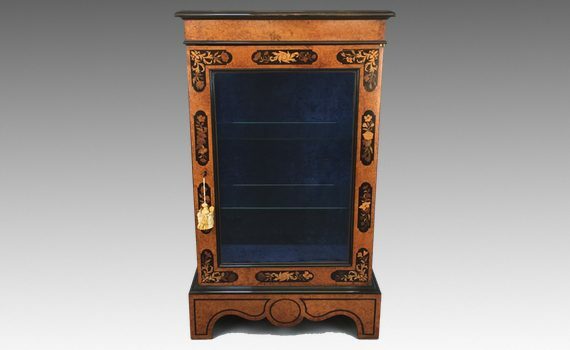 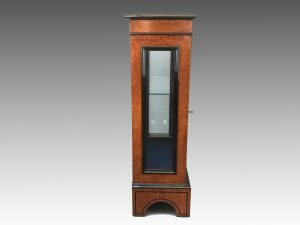 An unusual mid 19th century, Victorian, amboyna, coromandel and marquetry inlaid pier cabinet. 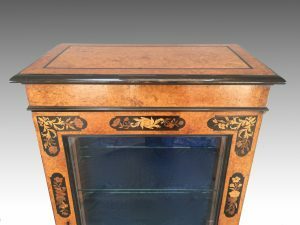 The rectangular top with ebony moulded edge, above a frieze with a floral inlaid glazed door below enclosing a shelved interior and glazed sides, standing on a shaped plinth base. Cabinet relined and with replacement shelves.